Two Norfolk-area bases and the aircraft carrier George H.W. Bush are set to host 350 French Navy aviators and their support personnel for training from early April until mid-May, Naval Air Forces Atlantic announced. The French Navy operates the only nuclear-powered aircraft carrier outside the United States, and they are currently the only other Navy operating steam-powered catapults for launching aircraft as well. But France’s carrier, the Charles de Gaulle, is currently about a year into an 18-month mid-life overhaul, so to ensure they are in shape for sea once the ship is ready, they will be knocking the rust off onboard the Bush. In many ways, the French aircraft carrier Charles de Gaulle is like any of America’s 10 carriers. 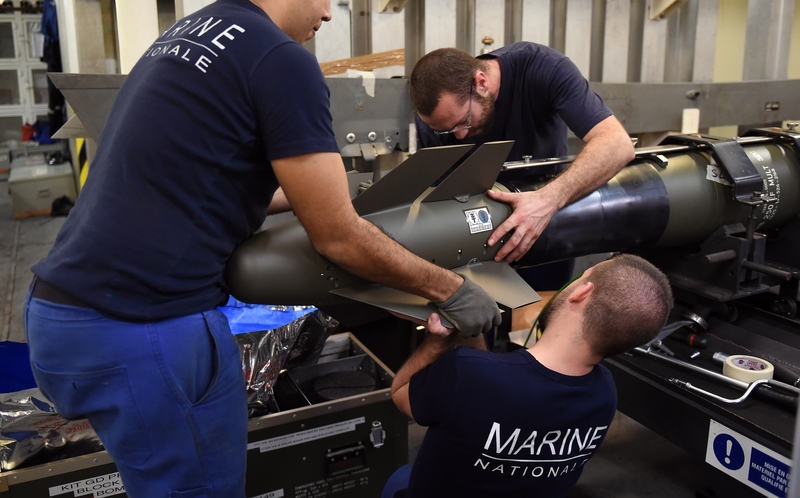 “As on operations, this deployment will contribute to further enhance our interoperability with the United States Navy — I am grateful for this token of trust and for the support afforded to this deployment of unprecedented scale,” Rear Admiral Guillaume Goutay, force commander of French naval aviation, said in the release. Hosted by Carrier Air Wing 8, the core of the French detachment will feature 27 aviators who will fly 12 Rafale jets, a twin-engine, delta wing, multirole fighter aircraft capable of carrying a wide range of weapons. The aircrew aboard the George H.W. Bush will be joined this spring by French sailors and naval aviators. The plan is to start with air–to–air and air–to–ground training at Naval Air Station Oceana and Naval Station Norfolk. 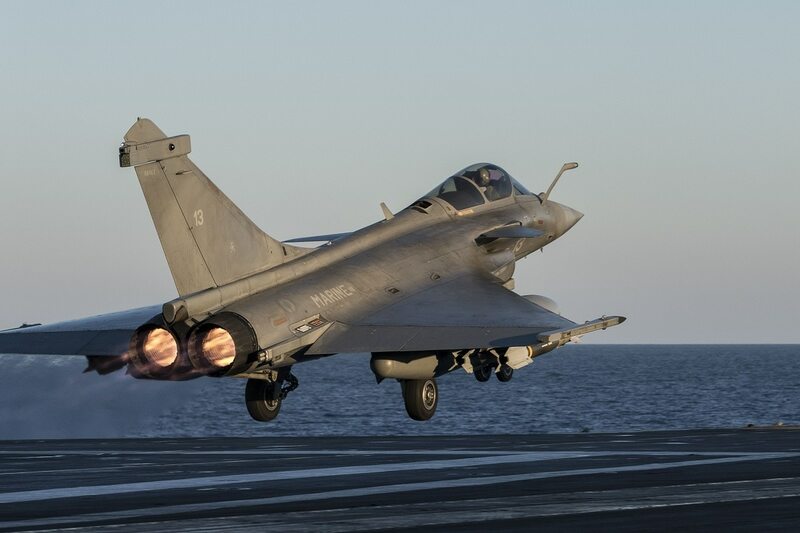 The French will also spend time doing land-based field carrier landings at Naval Auxiliary Landing Field Fentress, located in nearby Chesapeake, Virginia. Once the French aviators are qualified on shore-based carrier landings, they’ll spend a couple weeks onboard the Bush conducting day and night flight operations as part of Air Wing 8. 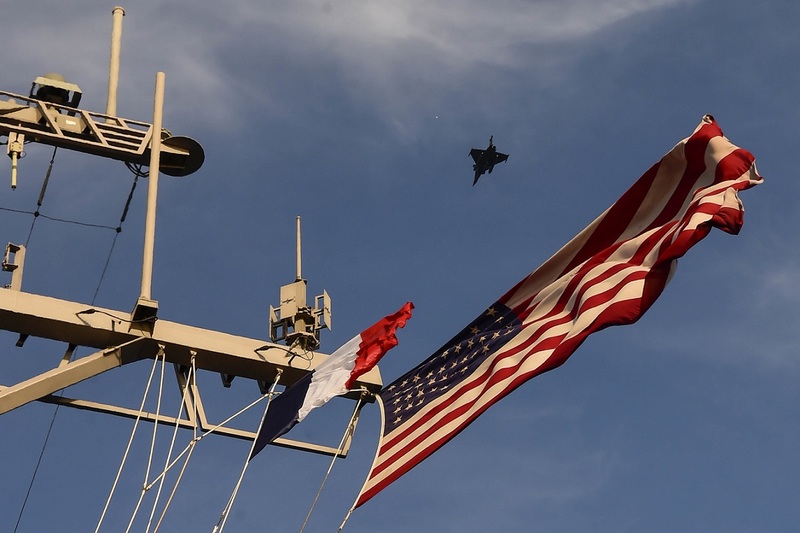 Meanwhile French support personnel and maintainers will also stretch their sea legs working alongside their U.S. counterparts. “Embarking our French allies and 13 Marine Nationale aircraft demonstrates our interoperability to deliver sustained airpower from the sea,” said Capt. Sean Bailey, commanding officer of the Bush.